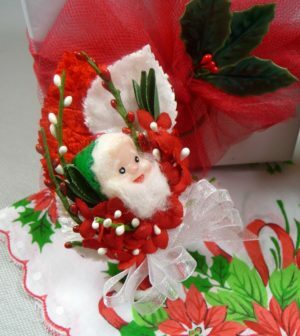 Announcing the Annual Christmas in July Sale in my Etsy shop. Visit my store anytime July 1 -15 and get 20% off every corsage, tea cup, hankie set, and millinery brooch! I’ve recently listed lots of new items, and will be listing others in the coming days. I’ve made some really cute new Christmas corsages – some paired with vintage holiday mugs from the 1950s and 60s that are just sweet as can be! They come gift boxed and are ready to go! Of course, all my other corsages for birthdays, baby showers, and other special events will be on sale too. Check out the new Halloween corsages I just listed! 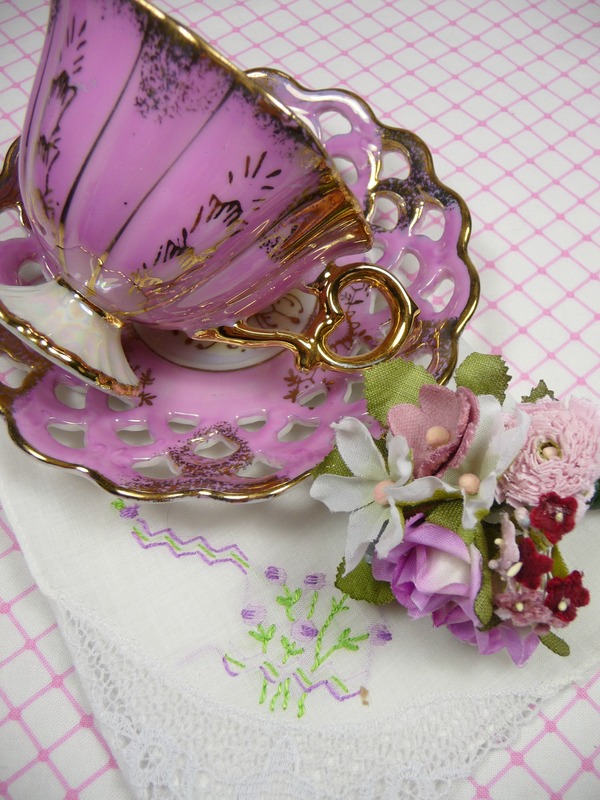 I’ve also listed more vintage tea cup gift sets that include matching hankies and corsages. This are also packaged in lovely gift boxes – and give you one less thing to worry about over the holidays. 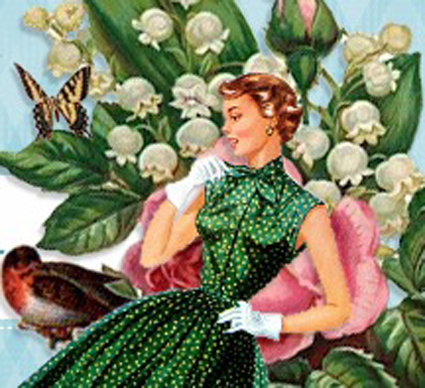 They make terrific hostess gifts for every vintage lover on your list! I sold quite a few of these over the last couple of months as gifts for Mother’s Day and bridal parties, but I’ve restocked the shop and have quite a few to choose from again. Christmas in July at Meaicp runs 2 weeks only this year – July 1 – 15, so stop by soon. The 20% discount will automatically be reflected in the prices of every item (including those already on sale), and no coupon codes will be valid during this special sales event. As always, I appreciate your business, and hope you are having a relaxing summer doing all your favorite things! I love hearing from you, so drop me a line or convo me through the shop if you have special requests or just want to say Hi!